Rope-making at Bridon -Willington Quay, “Then and Now”. 1 Rope-making at Bridon -Willington Quay, “Then and Now”. 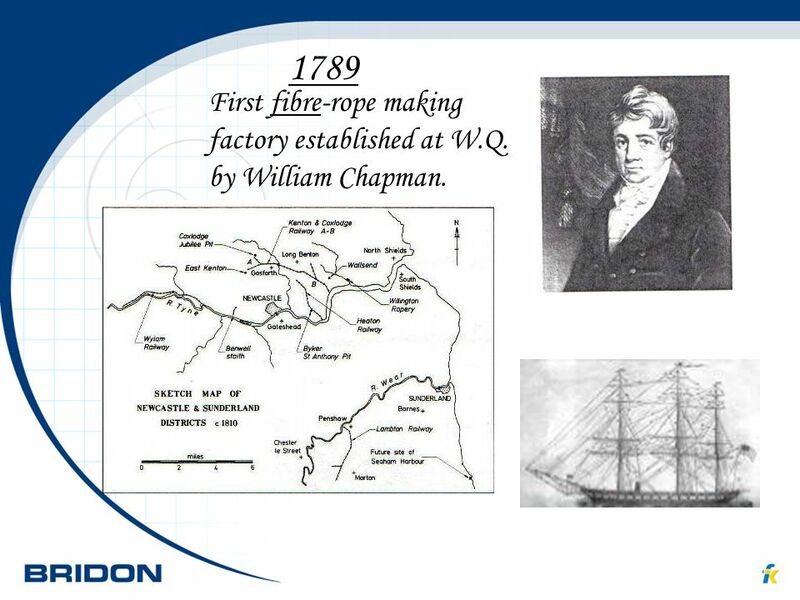 A brief history of rope-making at Willington Quay, from 1789 to the present day. 2 1789 First fibre-rope making factory established at W.Q. by William Chapman. 3 1843 Site taken over by Robert Hood Haggie. 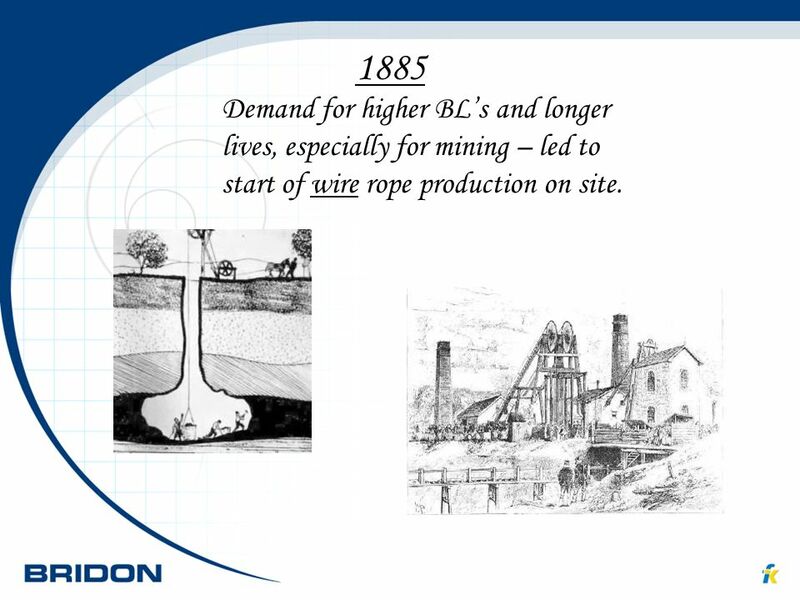 4 1885 Demand for higher BL’s and longer lives, especially for mining – led to start of wire rope production on site. 5 British Ropes. 1924 British Ropes. 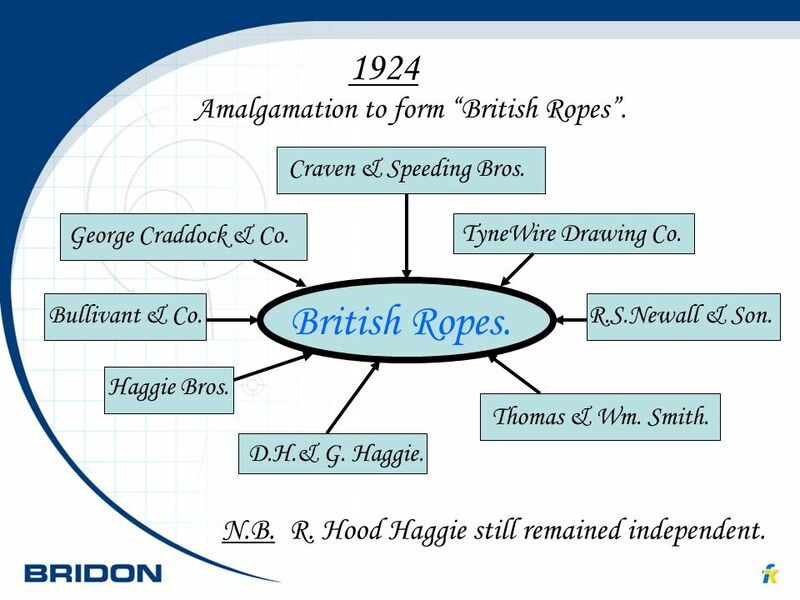 Amalgamation to form “British Ropes”. R.S.Newall & Son. Thomas & Wm. Smith. Bullivant & Co. Haggie Bros. D.H.& G. Haggie. George Craddock & Co. Craven & Speeding Bros. TyneWire Drawing Co. British Ropes. British Ropes. N.B. 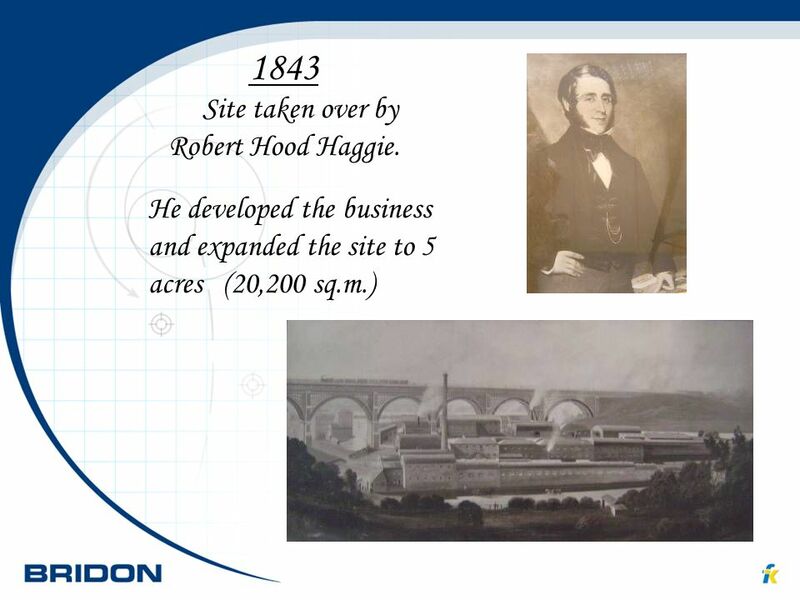 R. Hood Haggie still remained independent. 6 1959 1986 R.Hood Haggie becomes part of British Ropes. 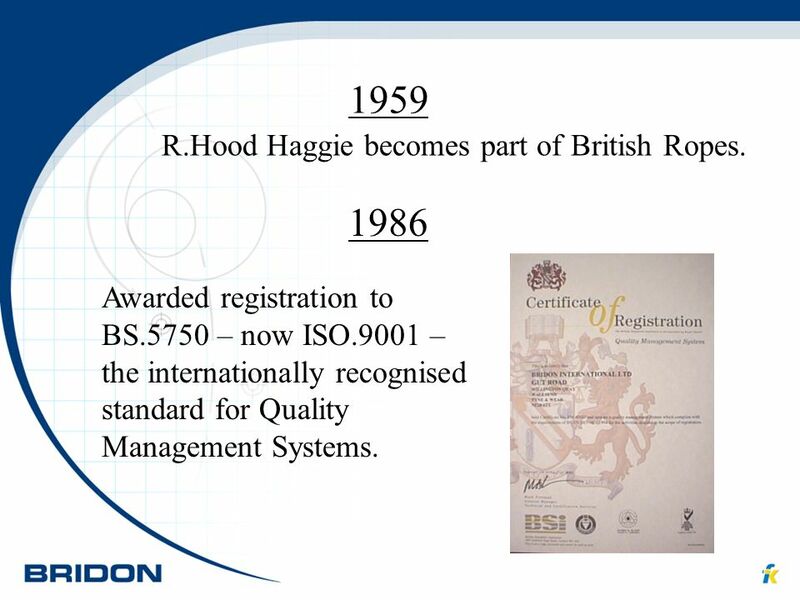 Awarded registration to BS.5750 – now ISO.9001 – the internationally recognised standard for Quality Management Systems. 7 World Records - the “Largest” and the “Longest”. 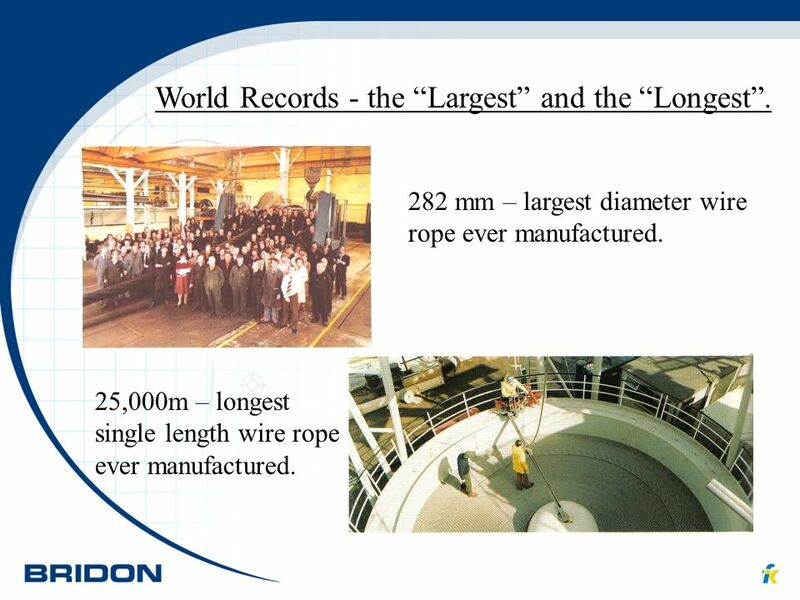 282 mm – largest diameter wire rope ever manufactured. 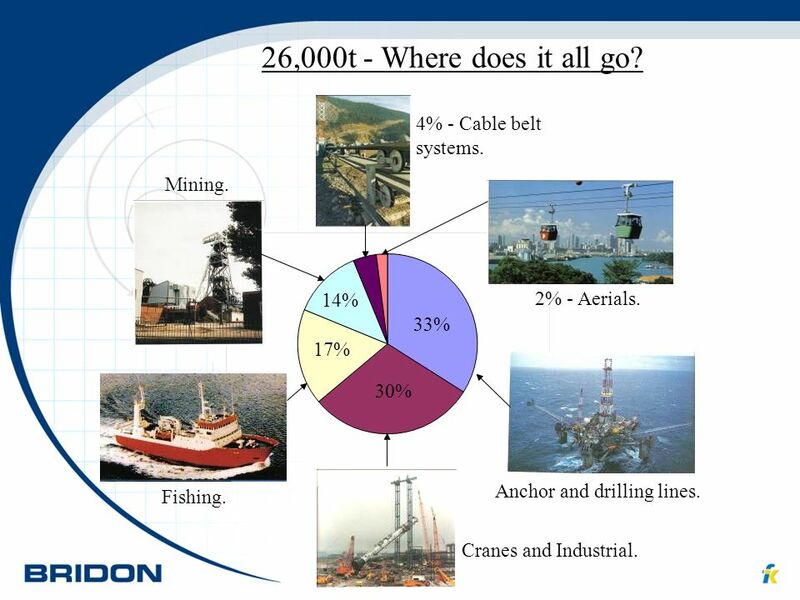 25,000m – longest single length wire rope ever manufactured. 9 2008 Where we are today. Output - approx. 26,000 t.p.a. Employees working 3 shifts. Rope diameters - from 10 to 140 mm. Wires per strand - from 7 to 52. Constructions - round, Dyform, triangular. Strands per rope - 6, 8, 18 and 34. Wire tensiles - from 1370 to 2260N/mm². Finished weights - from 0.5t to 137t. 2% - Aerials. Anchor and drilling lines. 33% 17% Fishing. 30% Cranes and Industrial. 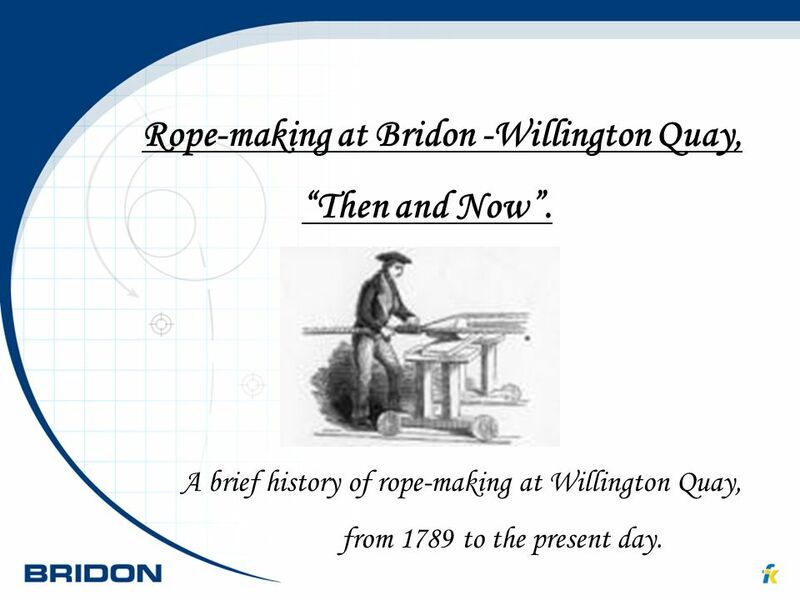 Download ppt "Rope-making at Bridon -Willington Quay, “Then and Now”." Chapter 4 Speciation and Phylogeny Norton Media Library Robert Boyd Joan B. Silk.